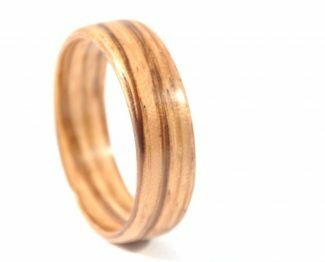 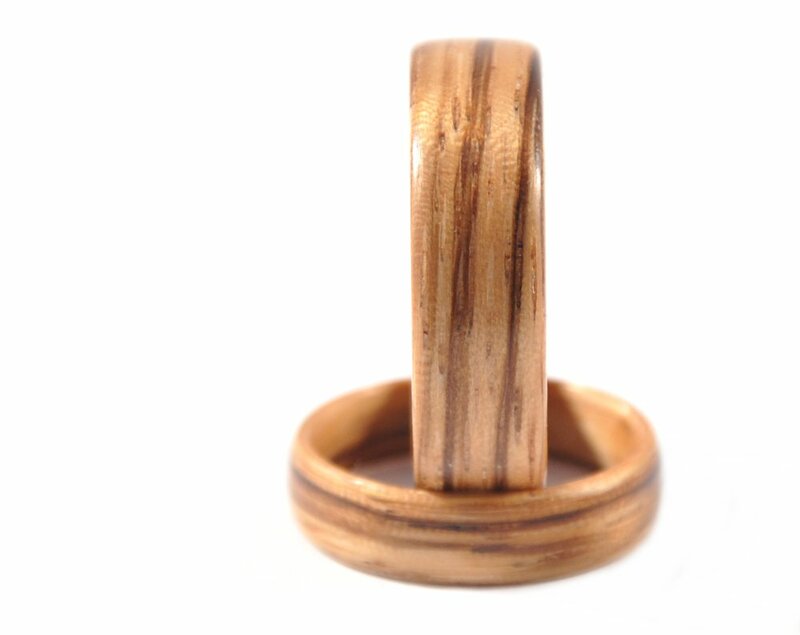 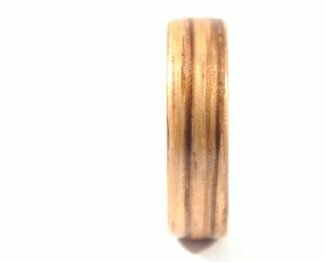 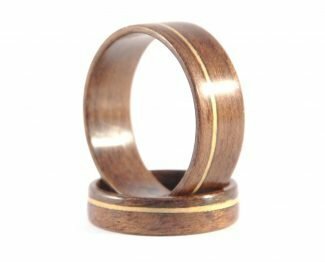 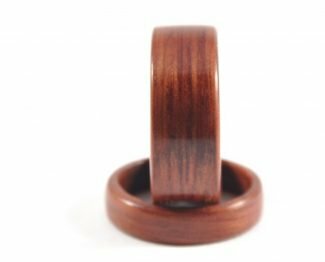 Zebrawood rings have the most incredible and vibrant pattern that you can find in the wooden ring world. 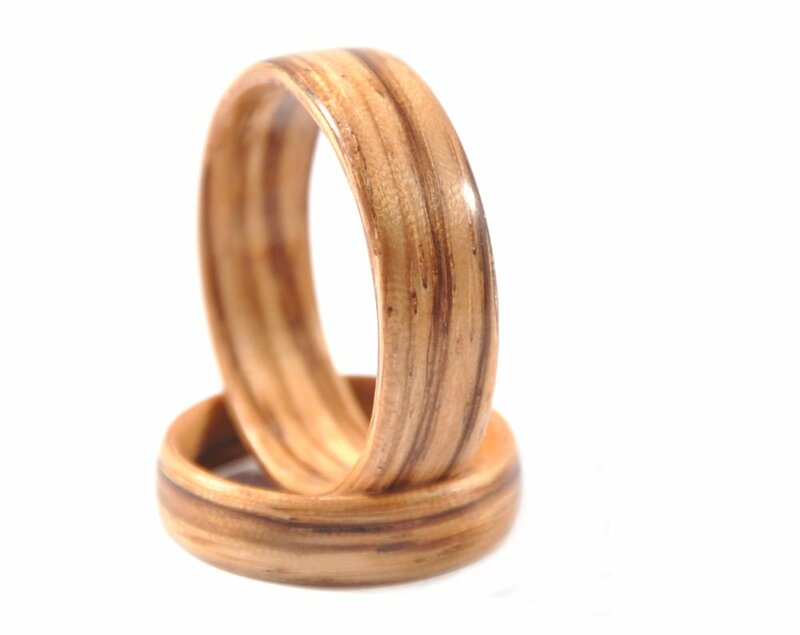 The wood is naturally characterised by its exotic stripy lines that are zebra-like. 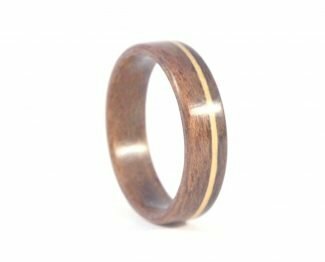 It has a golden yellow base with brown stripes circling the length of the ring. 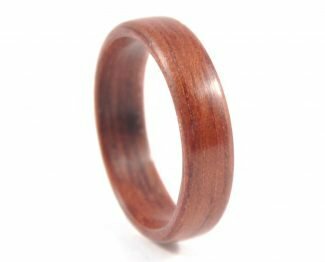 The wood comes from a species of trees originating from Central America and Africa. 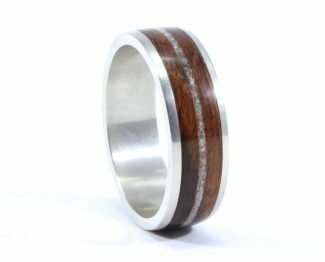 As the stripes are unique, the pattern placement will vary from ring-to-ring. 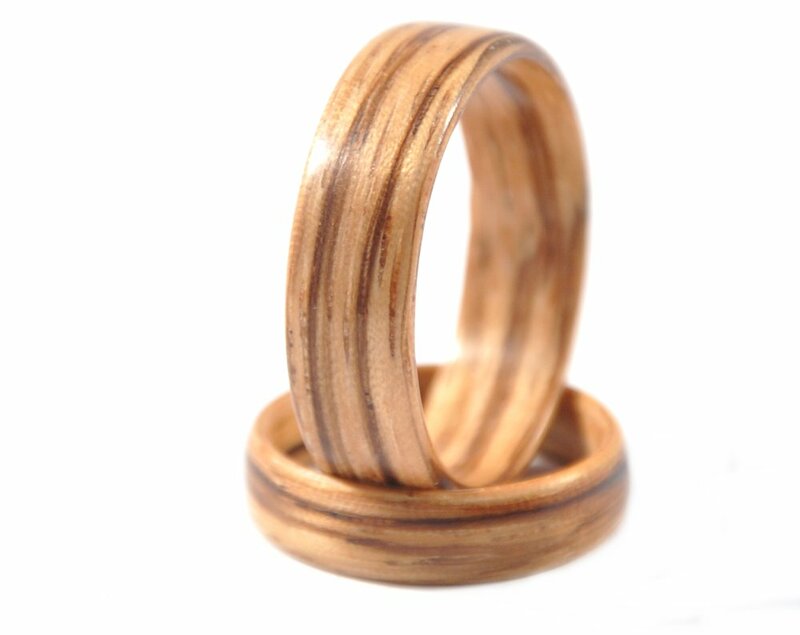 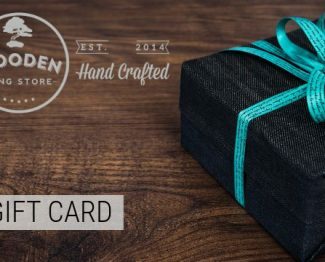 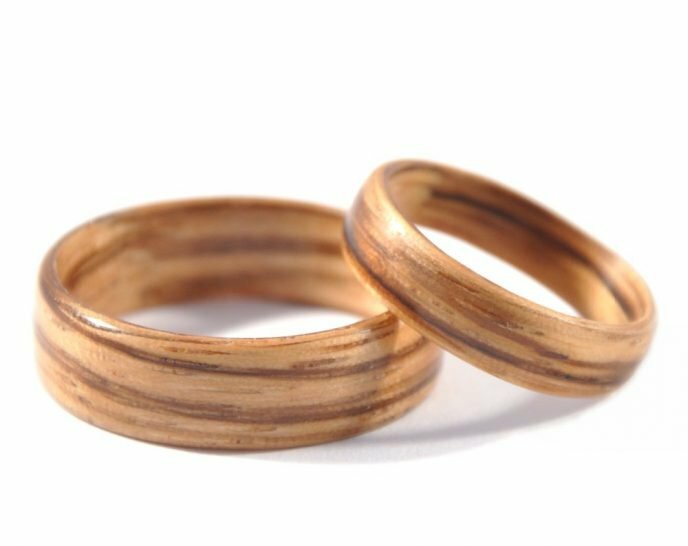 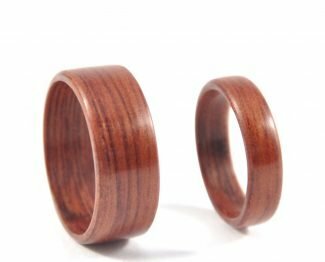 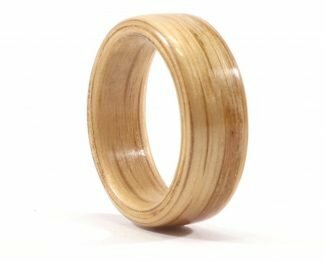 We make couples’ rings by using one piece of wood split into two parts to craft each of the rings. * Rings can be customised according to your wishes. 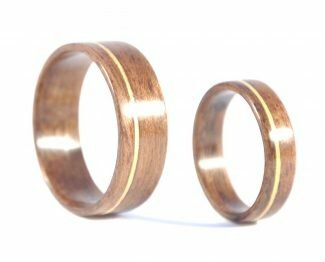 In case these featured rings don’t quite match your ideal, please contact us.